The March on Winterfell #24. You do not have to reveal the cards. 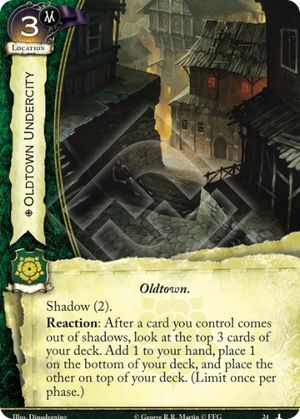 Oldtown Undercity triggers off of duplicates coming out of shadows.